India is the world's largest democracy, and second-largest developing country. For forty years it has also been one of the most dirigiste and autarkic. The 1980s saw most developing and erstwhile communist countries opt for market economic systems. 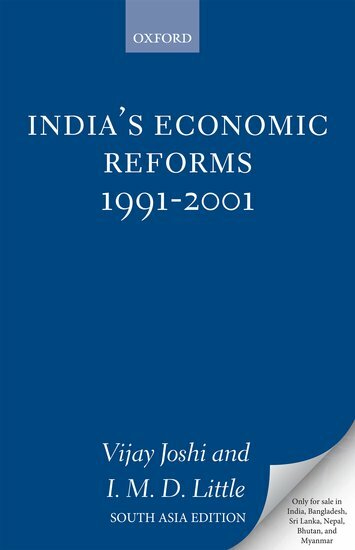 India belatedly initiated similar reforms in 1991. This book evaluates the progress of those reforms, covering all of the major areas of policy; stabilization, taxation and trade, domestic and external finance, agriculture, industry, the social sectors, and poverty alleviation. Will India realize its great potential by freeing itself from the self-imposed constraints that have hindered its development? This is the important and fascinating question considered by this book.